Walking was the order of the day on a recent trip to Sydney with a bunch of friends. The city has great walks, harbour side and ocean side. 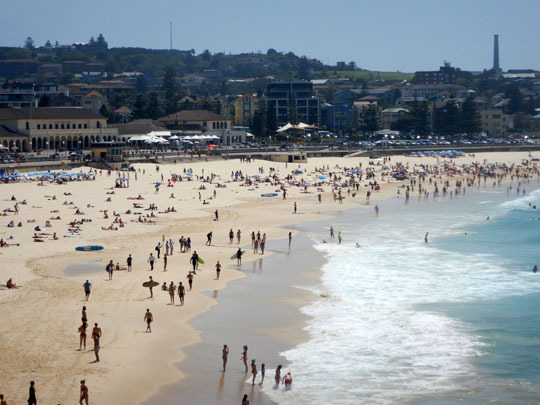 ◄ We started with the 10km harbour side walk from Spit Bridge (Mosman on the North Shore) to Manly, which is on Sydney Harbour and the Pacific Ocean. 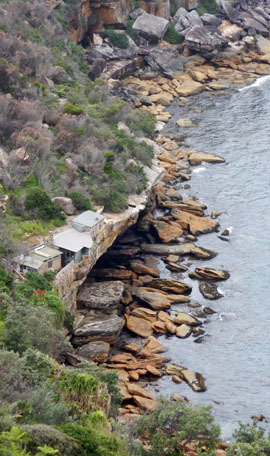 At Crater Cove in from Dobroyd Head you can look down on these old huts, perched on the rocks above the harbour. They were built in the 1920s and still occupied in the 1980s when the area was proclaimed a national park and the ‘free-spirited hippie’ occupants were kicked out. ▲ There’s no shortage of eastern water dragons sunning themselves on the rocks beside the walk. 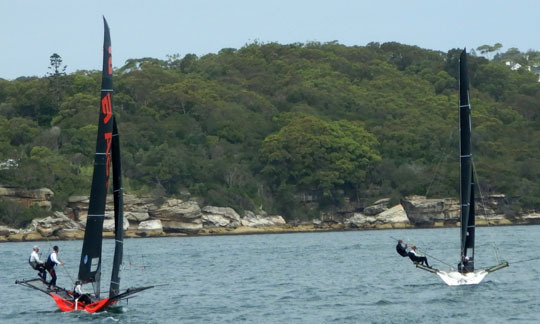 ▲ From Manly there are regular ferries back to the centre of Sydney, along the way we encountered this fiercely fought 18-foot skiff race. ▲ Then we turned into Circular Quay beside the Sydney Opera House. 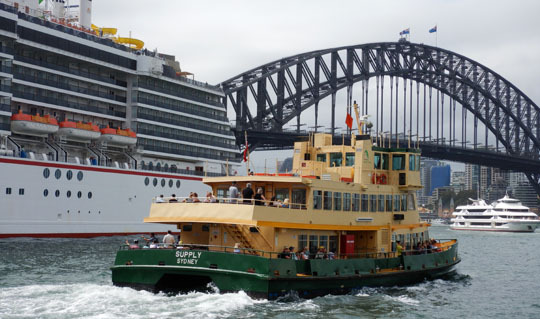 Cruise ships, harbour ferries the Sydney Harbour bride, it’s all there. 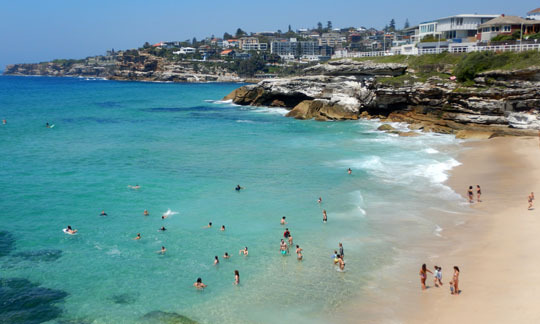 ▲ Next walk was an oceanside stroll south from Bondi Beach. 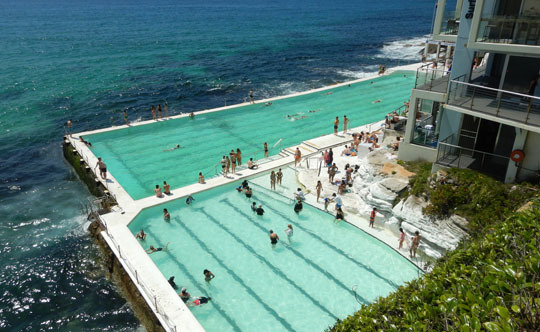 ▲ And back across Bondi Beach, contemplating that there can’t be many cities with beaches like this. 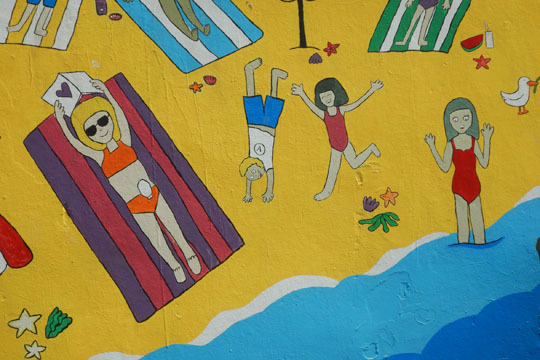 ▲ Our walk took us past Tamarama Beach and then past more fine beaches at Bronte, Clovelly, where we paused for lunch, and Coogee from where a bus whisked us back into the centre.